By Scott Gilfoid: Numerous news sources are reporting that 28-year-old former WBO 175lb champion Nathan Cleverly (29-2, 15 KOs) will be back inside the ring two months from now on October 16th in Chicago, Illinois. The fight is yet to be announced officially, so you have to take this with a grain of salt. Cleverly wants the bout because he feels it will show the boxing world that he’s for real. The reality is if Cleverly can’t beat a fighter like Fonfara, then he needs to either retire or downsize his ambitions, because there are better fighters at 175 than Fonfara. If Cleverly can’t get over this hurdle, then how in the heck will he ever hope to defeat the likes of Sergey Kovalev, Adonis Stevenson, Artur Beterbiev and Juergen Braehmer? Fonfara recently picked up a very impressive stoppage win over former WBA middleweight champion Julio Cesar Chavez Jr. last April. That was a much different Fonfara than we’d ever seen before. He used to be a fighter who didn’t throw a lot of punches and who mainly loaded up on each shot. But against Chavez Jr., Fonfara focused on high volume punching and he didn’t seem to have lost much of any power on his shots. Fonfara was able to throw with major power even while throwing a massive amount of punches in each round. If Fonfara can continue to fight like that for the remainder of his career, he’s going to give any fighter in the division a lot of problems. As far as Cleverly goes, I think he’s going to be obliterated by Fonfara in short order. Cleverly isn’t looking to fight Stevenson, Beterbiev or Kovalev though. He’s being position to fight WBA “regular” light heavyweight champion Braehmer rather than one of those talents. Obviously, Cleverly and his promoter Eddie Hearn sees Braehmer as the weak link among the three 175lb champions, so they’re going to try and move in and pick off the aging Braehmer from the 175lb champion herd. It is kind of sad that the World Boxing Association has two champions at 175. It’s kind of crazy. You can you imagine two Super Bowl winners or two Major League Baseball World Series winners. Having two champions at the same weight class with the same sanctioning body just cheapens the whole idea behind being a champion. With that said, I think Braehmer is a decent fighter and more than good enough to defeat Cleverly. 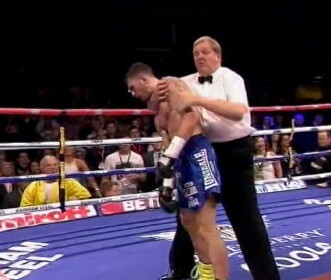 If Tony Bellew was able to beat Cleverly, then the southpaw Braehmer will do the exact same thing. But I don’t even think it’s going to get to the point where Cleverly gets a title shot against Braehmer, because I see Fonfara whipping Cleverly bad and making him look like a washed up fighter, which some boxing fans feel that he is. Personally, I don’t think Cleverly has lost a thing from his game. I just don’t think he was ever any good from the start. He beat a weak opponent to win the WBO title in 2011, and then defeated nothing but weak opposition for two years as the WBO belt holder until facing his fist quality opponent in Sergey Kovalev in 2013, and he destroyed Cleverly in 4 one-sided rounds. Had Cleverly faced the likes of Kovalev, Stevenson, Braehmer or Beterbiev from the very start when he fought for the WBO title, I think he would have lost to all of them. I don’t think Cleverly would beat the talented Cuban light heavyweights Sullivan Barrera and Yunieski Gonzalez. Cleverly’s lucky those guys weren’t around back in 2011 when he fought for a world title, because I think he would have lost the fight.